Your email list is one of the most important business assets you have. There are currently 3.2 billion email accounts, and 91% of email users check their emails at least once a day. Emails get results. But you need to be smart about your email list building. The best email leads are people who are genuinely interested in you, your products, or your business. Once you’ve been able to get someone to voluntarily give you their email, let’s face it, they’re much more likely to want what you’ve got. Here are 7 of the best ways to build your email list with genuine leads. Landing pages are one of the most effective methods of generating authentic leads for your business. A landing page on your website develops familiarity with your visitors. The more your potential prospect knows who you are and what you do, the more likely they are to be genuinely interested in your business and products, and the more likely they’ll be to give you their contact information. It’s a win-win. You get qualified leads, and your prospects get to know about a valuable business - yours. 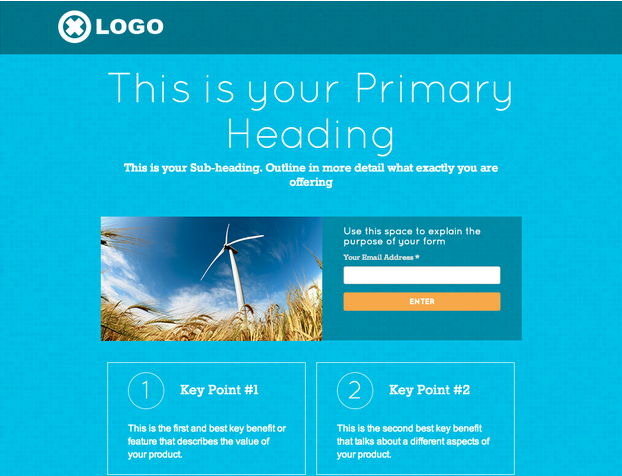 Here is an example of an email-gated landing page template from Wishpond. Our templates are easy to create and customize. You can also integrate your landing pages onto your Facebook page to generate email leads from your awesome Fans. 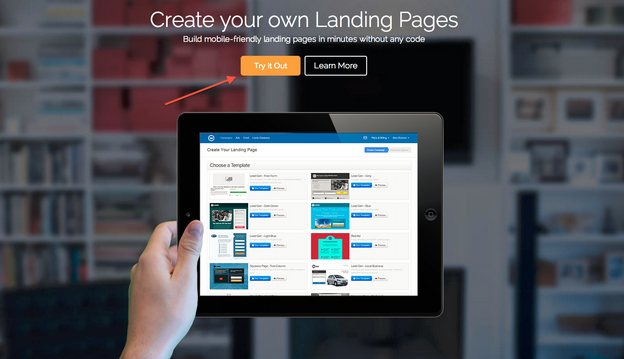 Host a number of landing pages on your website. As a rule of thumb, most businesses have at least one landing page for each product or service they offer. Companies with 51-100 pages on their site generate 48% more traffic than companies with 1-50 pages. If you have a variety of customers in different demographic groups, optimize your landing pages by creating product specific pages to market to each segment. 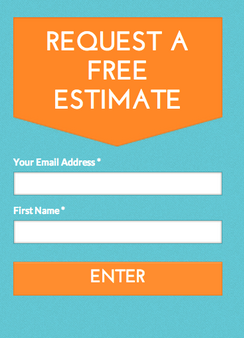 You can create even more landing pages to generate softer (but still qualified) leads. Email-gate your content (such as ebooks, newsletter signups, blog feed signups, webinars, how-to guides and more), free trials, free quotes, contests, coupons and more. To get leads that are genuinely interested in your business, offer incentives that are related to your products or services. For example, let’s say you make a landing page for a sweepstakes you’re running. Make the prize of the sweepstakes related to what you do. 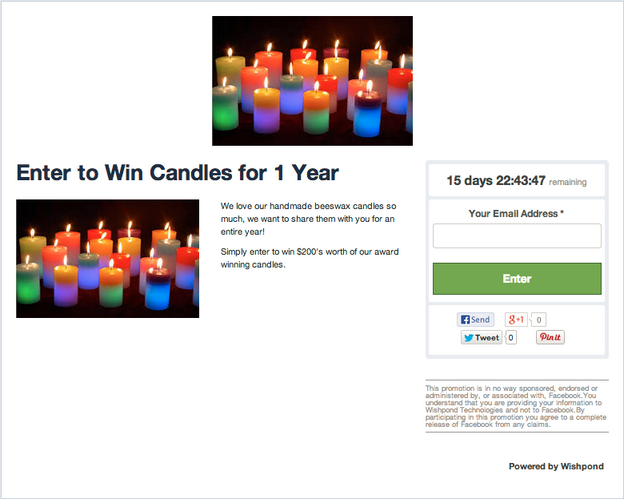 If you’re in the business of making and selling candles online, create a sweepstakes with your candles as the prize. Don’t give away an iPad or other enticing prize that’s not relevant to your business as you might attract more entrants but those leads are unlikely to be your customer. Here’s an example of a sweepstakes landing page, offering the business’ product as its prize. 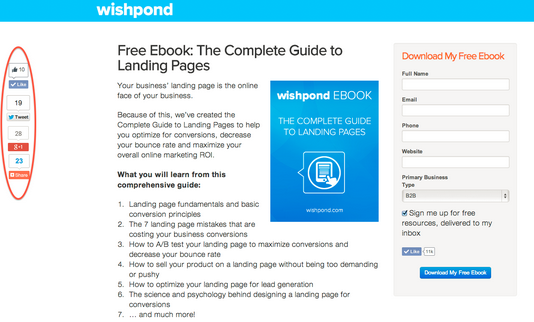 Example of a clear CTA to “Try it Out” on Wishpond’s landing page builder product page. Enhance your CTA by including your competitive advantage. Show how and why your service is better than your competition. Use your unique selling points to convince your demographic to turn into your email lead. Generate immediate action by creating a sense of urgency, too. Use limited time offers, quick expiry dates, limited numbers of an exclusive product offering and other scarcity tactics. The visual design of your landing page is important in beefing up your email leads. Increase your email lists by decreasing the clutter on your landing pages. In other words, make it easy for your potential leads to see who you are, what you’re offering and what you’re offering in return. Use bullet points - Most people reading online are skimmers. Write about your benefits and selling points in short concise bullet points. Keep your form fields to a minimum - Though there is debate about how much information you should ask for, I’d suggest that you keep your form fields to the basics. Ask for an email and first name as mandatory info. If you’re offer is really enticing or has a high perceived value, ask for much more contact and demographic data. The less you ask for, the more email leads you’ll get. Keep your mandatory form fields to a minimum to increase email generation. Use white space - Again, don’t over clutter the visual appeal of your landing page. Leave empty space on your landing page to direct your prospect’s attention to your offer, benefits and Call to Action. Include an image that shows your offer - A picture tells a thousand words. This is particularly true on a conversion landing page. The quicker and more relevant you can show your offer, the more email leads you’ll get. As a marketer, you always need to be able to think like your customer. What do your consumers want? How can you relate to your prospects on a deeper level? Connecting on a personal level breeds closer ties, trust and ultimately more leads and sales. Make a list of demographics for your customer personas. Detail out their online behaviours so that you can design a website landing page that immediately bonds. Show a face - Studies have shown that the image of a face increases trust - and conversions. In particular the smiling face of a woman tends to invoke a stronger connection. Show the face of you, your staff or your customers with your product or offer. Speak to your customer - Write marketing copy that personalizes your page. I think of a landing page as a place where someone is visiting your store in-person. Use personal pronouns like ‘“you” to tone your relatable copy and increase email leads. Use customer testimonials - There’s really nothing so endorsing as a customer testimonial. Use real customers who’ve had success with your product. Include a quote and the customers name and face. People trust people. Social endorsements go a long way to deepen trust and relationships with future customers. Use customer testimonials to relate to the needs of your future customers. This is an obvious one, but many marketers still don’t utilize it to its full potential. Include share buttons prominently displayed on your landing page. The easier you make your page to share, the more it’s going to get shared. Use social share buttons on your email generating landing pages. Additionally, once you’ve started to get emails, set up an email automation campaign to continue to keep in touch with your new leads. Add share buttons in your emails. Insert a tweetable link that’s super easy to share, and drives more traffic to your email lead generation landing page. Build your email list with genuinely interested customers. You’ll gain a lot more leads who want what you’ve got. That means more sales for you! Always A/B test to optimize your email leads. Measure your results and keep improving. What tactics do you use to increase conversions and gain qualified leads from your landing pages? What’s been successful for you?